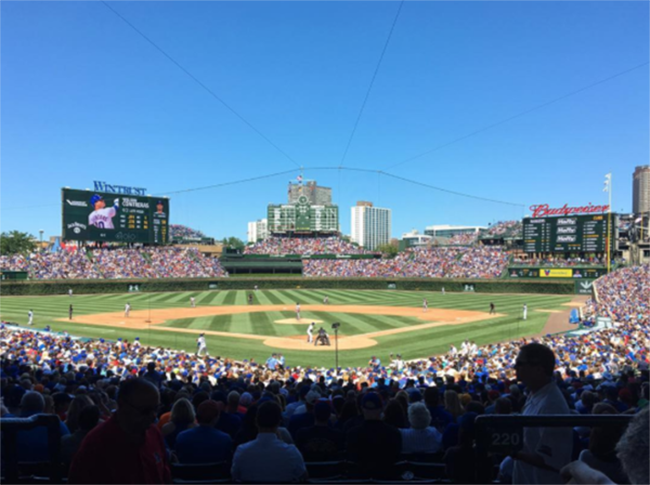 One of the best things about Cubs baseball is that Wrigley Field is situated near such a vibrant part of Chicago; a visit to Chicago to watch the World Champs or your favorite team go up against them can mean a pretty amazing weekend getaway if you know where to stay and what to do. If you’ve never opted for a North Shore stay versus a city stay, you’re in for a real treat. Quiet neighborhood streets, charming towns, culture and food that compares to the best of Chicago, along with unparalleled lake views make the area the perfect place for a weekend escape. Chicago’s North Shore offers easy access to Wrigley Field with the CTA’s rapid transit L train being the best way to get to and from Wrigley. It’s a quick ride into Evanston, Illinois, home to Northwestern University, which lends to lots of lively and creative things to do and great options for accommodations with free parking. Whether you head to Chicago to cheer on the Cubs or root for your home team, you’ll find Chicago’s North Shore to be a destination for the perfect Cubs baseball weekend getaway. See a game or two at Wrigley Field, and explore our top things to do in Chicago’s North Shore in between. Here’s our guide. Chicago’s North Shore is home to lots of beautiful and super cozy bed-and-breakfasts on Lake Michigan. Book a room at Stone Porch by the Lake, a meticulously restored 1899 Tudor mansion that you won’t want to leave. It’s equally elegant and cozy, and you can sit on its gorgeous front porch to sip coffee in the morning and view Lake Michigan during breakfast. Stone Terrace is another luxurious option with a sitting room to take in the morning sun, a massage room and a comfy back terrace. Or consider Margarita European Inn, a cute boutique hotel with a parlor that’s perfect for sipping a glass of wine, a roof deck to relax and enjoy the summer evenings, and a library. And if you’re looking for an amenity-packed lodging choice, check out the Hilton Orrington/Evanston, Hyatt House Chicago Evanston, Hilton Garden Inn Chicago North Shore/Evanston and the Holiday Inn North Shore. 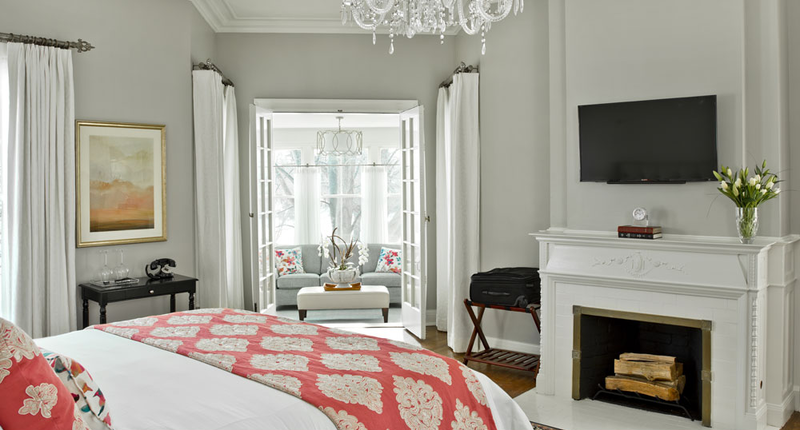 Find a full list of hotels on Chicago’s North Shore here. Nothing says vacation like a glistening horizon, and Chicago’s North Shore is packed with gorgeous lakefront areas to explore. 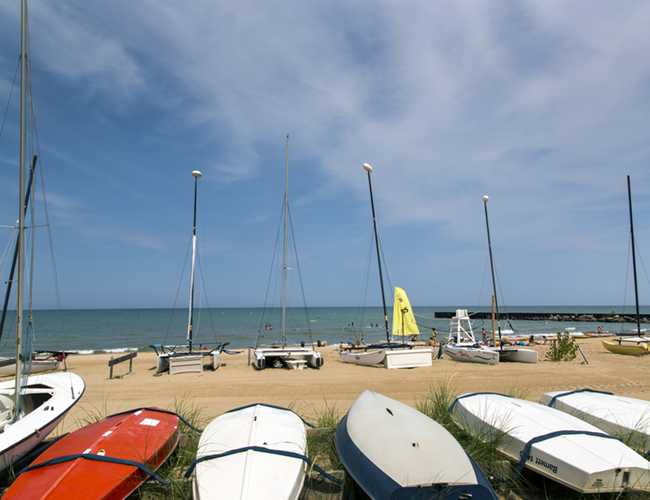 Take a stroll or jog in the sand at the many Evanston beaches, where you’ll fall head over heels for the expansive but calm, freshwater Lake Michigan—its vastness truly makes the lake feel like an ocean. Rent a sailboat or kayak for a morning or afternoon on the water. Sunbathe on the rocks like a lizard or relax, picnic, people-watch and see beautiful lake views from the park while you’re there. You can also check out Grosse Point Light House. Climb the 141 steps to the top of the light tower and take a summer tour of the Keeper's Quarters Museum as well. The lighthouse is often considered to be the symbol of the city of Evanston, and it’s a National Historic Landmark. Chicago’s North Shore has tons of cute, eccentric coffeehouses and cafes that each offer an authentic twist on the brew and the experience. Cupitol Coffee and Eatery is a must stop. It’s got both indoor lounge space as well as sidewalk seating and its baristas know the art of the pour. Or, grab a cup of coffee at Hewn, which also specializes in hand forged artisan bread and offers killer pastries. The space has a super charming and rustic atmosphere, too, with most of its décor made from as many salvaged and repurposed items as possible. And to be transported to France, make a stop at Patisserie Coralie in Evanston. The café is deeply rooted in French culture, from the design of the space to the recipes. 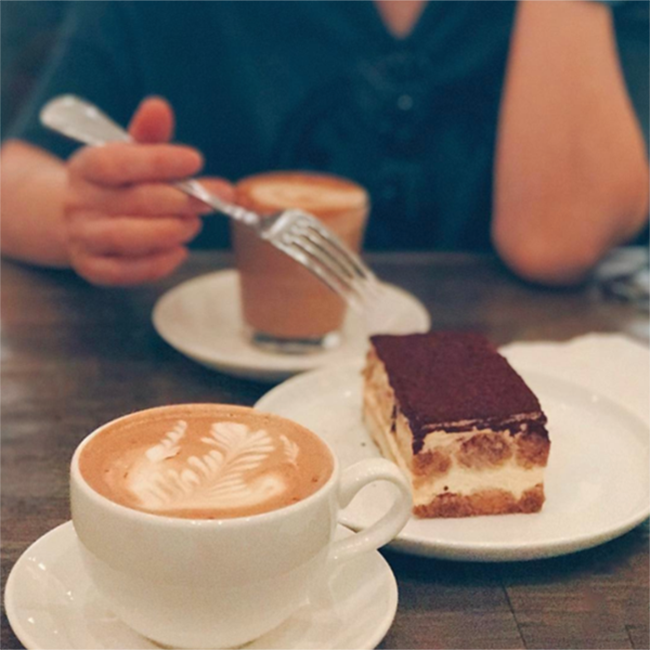 More can’t go wrong options include Sweety Pies Bakery in Skokie, where you can have your coffee with family-recipe desserts made from scratch or check out nearby Rock House in Glenview, which hosts live music from local and touring acts on weekends. Arguably, the best part of a getaway is the food, and Chicago’s North Shore has an impressive and inventive range of places to choose from. “Rock ‘N Ravioli” serves generations-old Italian recipes with numerous varieties of home-made fillings and sauces including Braised Short Ribs and Potato, Lobster and Asparagus, and Frangelico Creme Sauce on Pumpkin Ravs. Pete Miller’s Seafood and Prime Steak offers an experience that takes you through the grand days of post World War II as live swingin' jazz fills the air while you are pampered with exceptional service and feast on prime aged steaks, chicken, chops, fresh seafood and the world's best wines. Another treat-yourself place is Hearth, located in the Homestead—a warm, historic, Williamsburg-style inn. At Hearth, expect upscale contemporary American cuisine and check out the restaurant’s cocktail lounge, too. And for farm-to-table New American fare and craft cocktails, head to Boltwood. Its space is window-filled, alive with energy and feels like home. 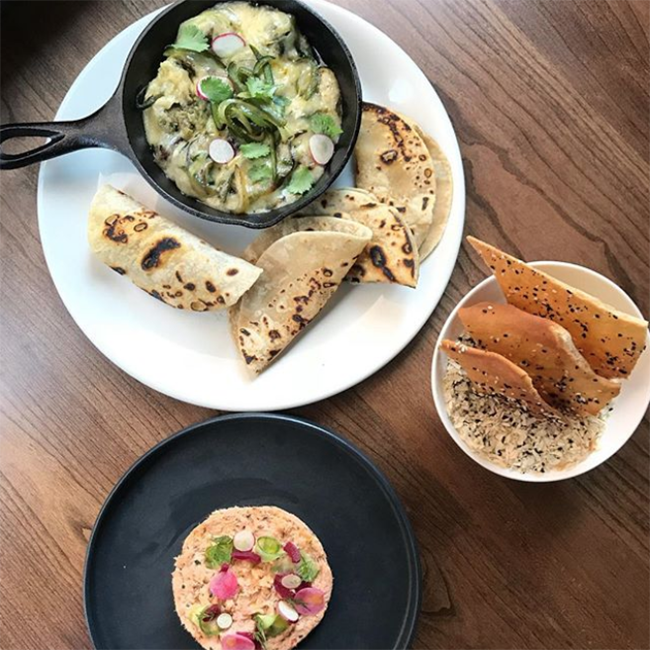 Found Kitchen and Social House also has a rustic, seasonal farm-to-table menu and gets its names from the “found” objects—like vintage maps and old books—that adorn the space. Taste an entrée item like braised root vegetables accented with charred leek soubise and pomegranate. Farmhouse Evanston is a comfy farm-to-table spot with local brews featured amid exposed brick & salvaged decor plus a great patio space. And finally, for small plates of creative, global eats and craft beer, try The Cellar at The Stained Glass. You’ll love its lively, cozy atmosphere. And its sister restaurant, The Stained Glass Wine Bar Bistro, offers an extensive wine list. Bold flavors of Thai cuisine are rendered to perfection by the chefs at NaKorn Kitchen who present old-Thai recipes with a modern presentation layered with unique flavors. Lulu’s brings forth the biggest bowls of fresh Asian noodles, crispy-crunchy ginger salads and homemade dumplings all washed down with cold beer or tasty tropical cocktails topped with little paper umbrellas. Need a poke bowl fix? Aloha Poke Co. serves build-your-own style poke bowls made with sushi-grade tuna and salmon, as well as tofu with rice or mixed greens base and toppings, along with a collection of sauces. 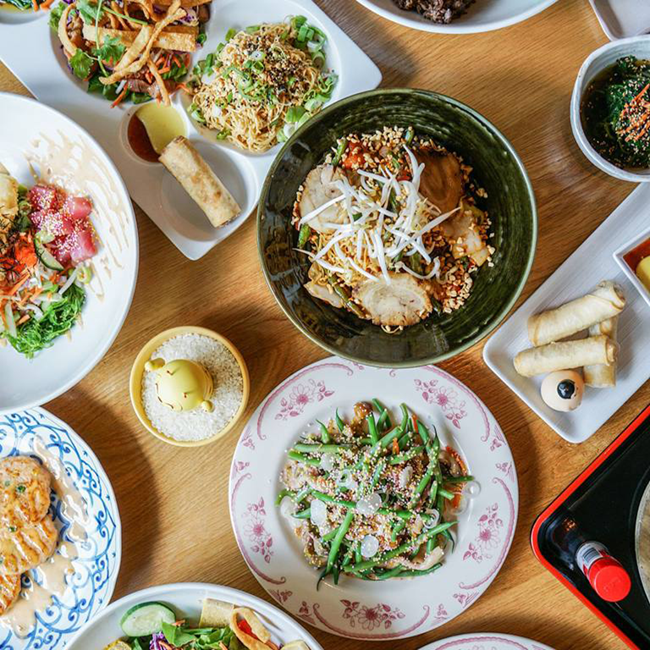 Viet Nom Nom, a fresh Vietnamese inspired kitchen uses fresh produce, rich flavors to create specialites including banh mi to pho made from scratch. Craft beer is becoming a national obsession, and Chicago’s North Shore is full of beer bars and breweries that give you the opportunity to join in the craze, sip back and relax. Check out Bangers and Lace, named one of “America’s 100 Best Beer Bars” by Draft Magazine. It gets its name from “bangers,” the British word for sausage, and “lace,” the veil of beer foam that clings to the side of the glass as the beer’s being consumed. Or swing by the brick-walled brewpub, Peckish Pig. Peckish means hungry in British, and you should plan to come that way. It has an awesome locally-sourced food menu and generally has five to eight house beers on tap, rotated every two weeks. 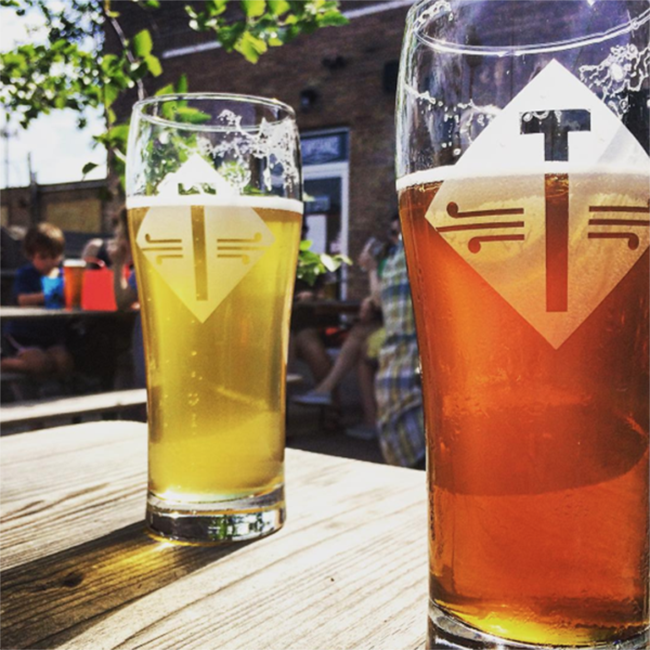 Temperance Beer Company offers Temperance Trikonasana, a cool pairing of craft beer with yoga, every third Saturday monthly from 1-2:15 p.m. After a yoga session, you can sip beer with an open heart while you learn about the local charity supported by the proceeds. Temperance also hosts other fun monthly events like burlesque, bottle release parties and more. Smylie Brothers Brewing Company is another cool local brewery that serves Texas-inspired BBQ, wood-fired pizza and Midwestern comfort food along with their craft brews. It also has outdoor seating, perfect for breezy summer afternoons and evenings. Five and Dime, Evanston’s first roof-top dining and drinking spot, offers comfortable seating on couches as well as table seating with great sunset views and a menu full of options to share. A creative distillery in Chicago’s North Shore is FEW Spirits, named in homage to suffragist and prohibitionist Frances Elizabeth Willard. It’s Evanston’s first distiller of grain spirits within city limits. Consider taking a tour, currently offered on Wednesdays and Thursdays at 6 p.m., Fridays at 2 p.m. and Saturdays at 2 p.m., 3:30 p.m., and 5 p.m. Or, relax with a cocktail like The Last Word featuring FEW American Gin, Luxardo Maraschino Liqueur, Green Chartreuse and fresh lime juice. FEW hosts fun events, too, like FEW Fridays—festivity highlighting cocktails, food trucks, music and friends. With the weather being nice and mild during baseball season, Chicago’s North Shore offers attractions that will keep you outside and soaking in the sun. 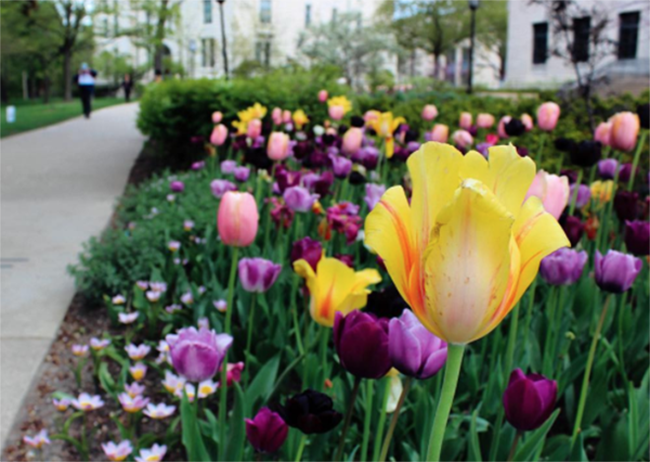 Take a stroll through Northwestern University’s campus where you can take a minute to rest and admire the beauty of the university’s Shakespeare Garden. It houses a sundial, bronze and gold fountain and Elizabethan-style stone bench, and every plant in the garden was either mentioned in Shakespeare's plays or commonly grew in Tudor, England. Other gardens to explore in the area include the magical Merrick Rose Garden, a little hidden gem in Evanston that’s rich with fragrant and colorful flowers and a cascading fountain. 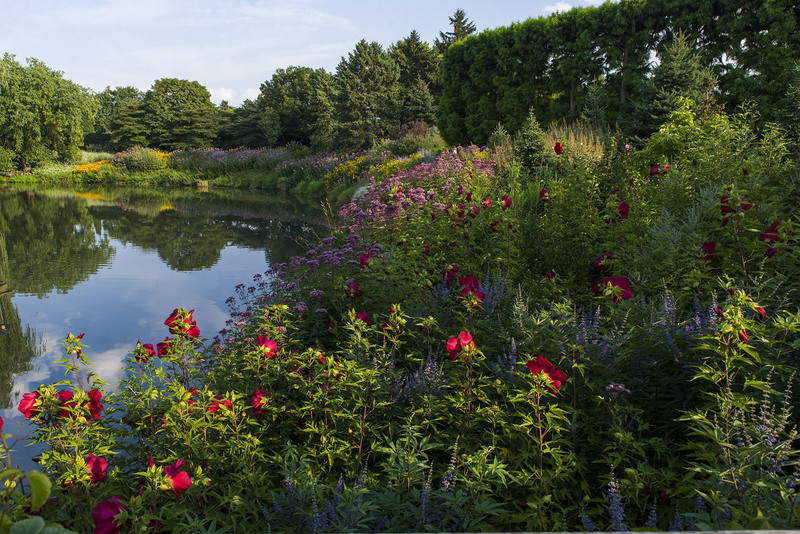 Literally stop and smell the roses there, or drive a little further north to explore the famed Chicago Botanic Garden, made up of 27 colorful gardens and four natural areas, situated on and around nine islands. 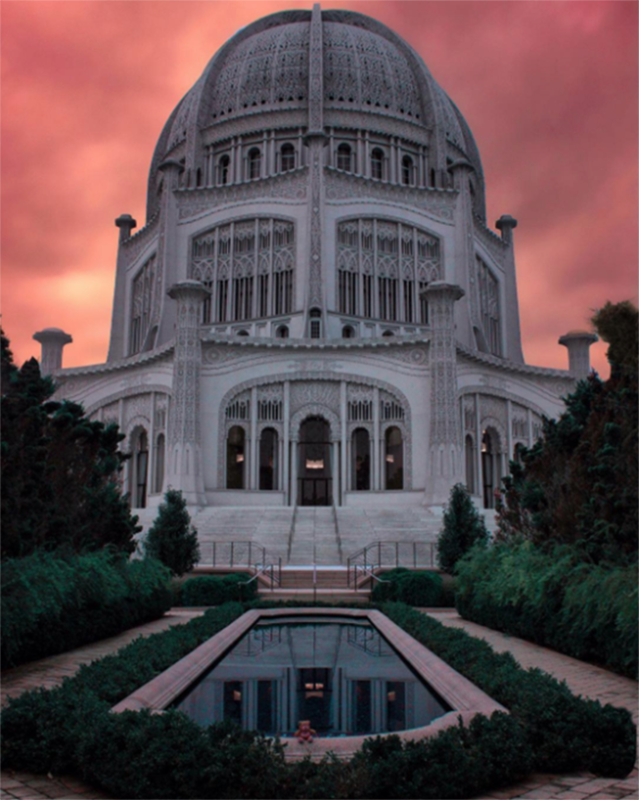 And for some goosebumps-inducing majesty, plan a visit to the Baha’i House of Worship. It’s the oldest surviving Baha’i House of Worship in the world. The Baha’i faith emphasizes spiritual unity of all humankind, and no matter what you believe, a visit to this temple will give your soul a lift. The structure itself is adorned with magnificent lace-like architectural detail and is set on lush grounds sprinkled with gardens and fountains. It’s an amazing place to take some time to reflect, meditate or pray, and be sure to stop by the Welcome Center to explore the temple’s history and symbolism. Share with us the photos and stories you collect on your Cubs baseball weekend getaway, and be sure to request a free Visitors Guide to help you plan your trip. This entry was posted in Attractions, Dining, Sports, on May 12, 2017.